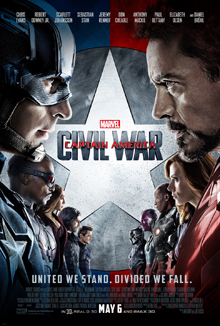 Captain America: The Winter Soldier is the sequel to Captain America: The First Avenger. 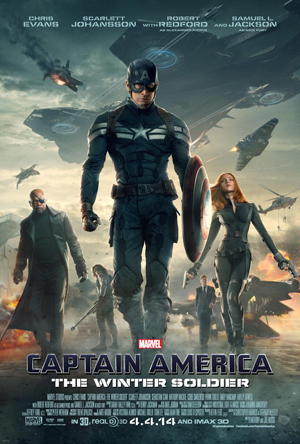 Much like Thor: The Dark World, this film directly follows events that took place in The Avengers, more fondly referred to as the “Battle of New York.” Cap is still getting used to the modern world and how he fits in it. We throw in S.H.I.E.L.D., some covert plotting, and sprinkle in some action, that’s what we have here. The good; we get the same cast back. That’s always a pleasure because it’s the same world, it’s consistent with what we’ve seen, makes it more believable. The action is great in this movie. We really get to see Cap move and fight in ways that we’ve only really seen in the comics and the animated tv shows. They perfected Cap’s movements from The Avengers, he leaps, jumps and throws his shield more and more like he does in the comic books. Speaking more to the action, they utilized a lot of practical stunts, I really appreciate that. The combination of CG and practicals worked really well in this film. I know the shield is computer generated at times, but how else would they have done it? Very good job with how the shield behaves. There’s also a car chase scene with Nick Fury that was previewed on tv, but the entirety of the scene is great. His vehicle is a SHIELD vehicle and has all the gadgets and gizmos that would make James Bond jealous. And this film is a direct sequel to the first movie, without ignoring The Avengers, I wasn’t expecting it to be as much of a sequel as it was, bravo for that. Oh and this is definitely the comic book fan boy in me, but we get to see Cap’s ears with his mask. That’s just how it’s been in the comics, with the first movie they were covered and I couldn’t put my finger on what bugged me, but it was the ears. We see his EARS! Hahaha. In line with the comics, the way they dealt with The Falcon was great. I was worried when they first announced that he would be in this film, but they updated him to fit the Marvel Cinematic Universe. The action, I know I mentioned this above, but it was too hand held at times. Why have all these practical stunts and not see everything? They worked hard and I want to see the stunts. Oh, and people… people really make it hard to enjoy a movie in the theatres these days. With the assigned seating and higher price point you’d think it would eliminate some of the riff raff… but that time period has gone, back in full force is the lack of common courtesy. Overall I enjoyed it. So did everyone else, it made $96.2 million this weekend. We get a very solid action movie with an evil plot to take over the world thrown in there. The way the Captain America movies have been are great, it reminds me of Superman. How Cap is a product of his time but yet relevant in the present, DC Comics should take a page (pun intended) from how Marvel has treated Captain America in their films. You can take a character has “old world” values and still make him interesting. Captain America is one of my favorite Marvel superheroes, it’s probably all that patriotism drilled in to me as a kid, and I’m glad that we’re getting these movies. This entry was posted in Movies/TV, Reviews and tagged bucky, Captain America, Captain America: The Winter Soldier, Captain America: The Winter Soldier film, Captain America: The Winter Soldier film review, Captain America: The Winter Soldier movie, Captain America: The Winter Soldier movie review, marvel, movie review, superheroes, the avengers, winter soldier on April 7, 2014 by Eugene.